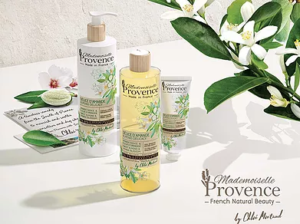 Chloe Mortaud, a Franco-American model and former Miss France, transports you to the very heart of Provence with her Mademoiselle Provence line of natural skin-care and beauty products. 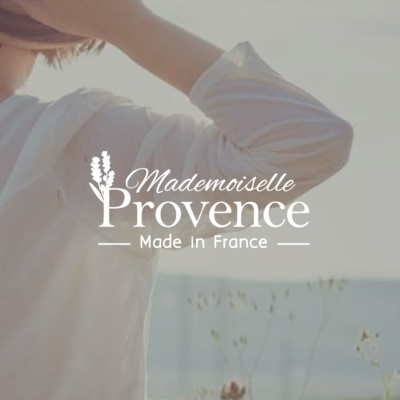 100% made in Provence (France) and developed for women and families that prize simplicity, natural beauty and well-being. Mademoiselle Provence offers a range of nourishing natural skin care products, including refreshing shower gel & body washes, revitalizing body scrubs, hydrating body milks, smoothing hand creams, and whipped body creams with a light and luxurious feel. Capture a piece of Provence with four authentic scents designed to transport you to the very heart of France and its luscious botanical landscape. Let notes of lavender, sweet almond, verbenas and roses / peonies whisk you away to a world where nature’s best beauty secrets are kept.